Most of us were part of the core developers team of successful ESTCube-1 CubeSat mission. We have specialized on rapid designing and production of nanosatellite parts. 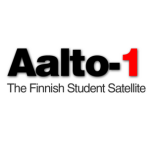 We have developed payloads for multiple satellites, like ESTCube-1, Aalto-1 and ESEO. Our fields of expertise are space and satellite research. We focus in nanosatellite research, designing and development field. Nanosatellites subsystems and components testing, analyzing are the fields we are also active in as we have the knowledge, experience and necessary equipment for that. We are mostly engineering company and majority of our skills are practical. Our electrical engineering competences include: digital, analog and RF electronic development, prototyping and manufacture. Mechanical lab has designed, prototyped and manufactured several electromechanical systems. We also have programmers who in addition to making normal programs are capable of programming firmwares on different microcontrollers and FPGAs. Crystalspace has labs to develop and test mechanical, electronics and RF designs. In mechanics lab we have CNC mill, laser cutter. In electronics lab we have equipment to design and debug low and medium power electronics, and test digital and analog circuits in RF lab there is equipment to test RF and microwave circuits, their emissions and radiation patterns. Crystalspace also has access to clean room, anechoic chamber, optics lab, PCB manufacturing and assemble and all the necessary equipment for satellite testing such as thermal vacuum chamber, vibration bench, etc.